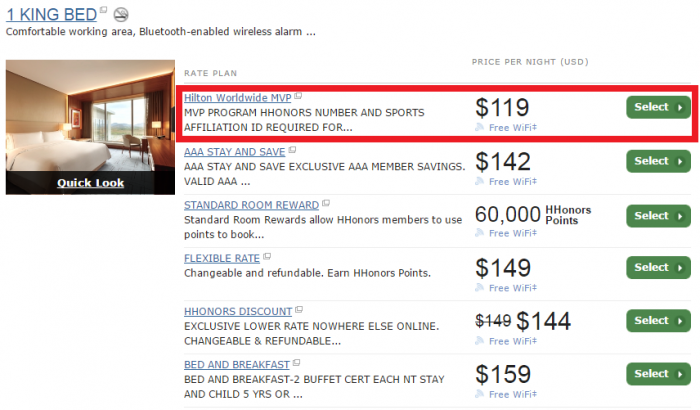 Hilton HHonors has had very popular MVP rate for years that offers 20% off at participating properties in the Americas (Canada, United States, Brazil, Mexico etc. ), Hawaii and the Caribbean while being eligible for all the status benefits and stay/night credits + points. You can access Hilton’s web page for MVP program here (email me if the link doesn’t resolve – Hilton moves it every once in a while). 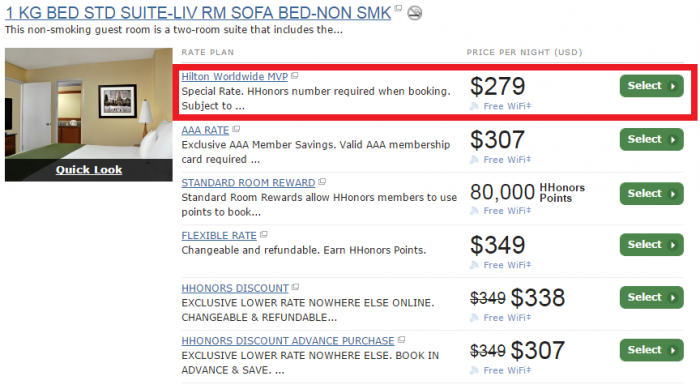 and another one only requiring being a Hilton HHonors member. The MVP rate tends to be the lowest (even lower than the AAA) and doesn’t require advance purchase. You can even book it on the day of arrival if available. If you use the rate plan a lot, just sign up for some sport affiliation such as the Golf one for $10 that I mentioned above. Next articleNew Tokyo-Haneda to U.S. Routes Approved By The DOT – American, Delta, Hawaiian & United To Fly!